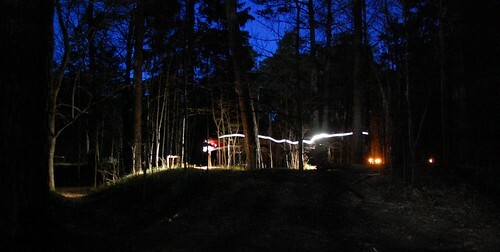 Night orienteering - Joakim A. Last Friday night I helped my club arrange the yearly night orienteering competition. I was supposed to help out with the start which wasn’t to hard, expect for it being a bit chilly being out in the forest for a few hours. I had brought with me my camera and I took some shots which I think turned out quite alright. You can view the whole set on flickr.